At Raskullz, we live to create products that inspire the imagination. From backpacks to bicycles, from stationary to scooters, from helmets to handgrips, we find the line and cross it everytime. We take products that kids need to have and turn them into products that kids WANT to have. Raskullz does not 'blend in', we stand out, break ground, and have fun doing it. While other companies slap a flat logo onto the same old tired products, Raskullz takes a fresh approach by using 3D toy-inspired technologies to literally re-invent the bicycle (and then some!). 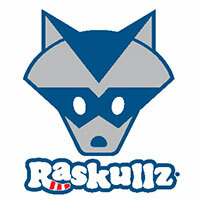 Raskullz: changing the industry by making children's products fun again.